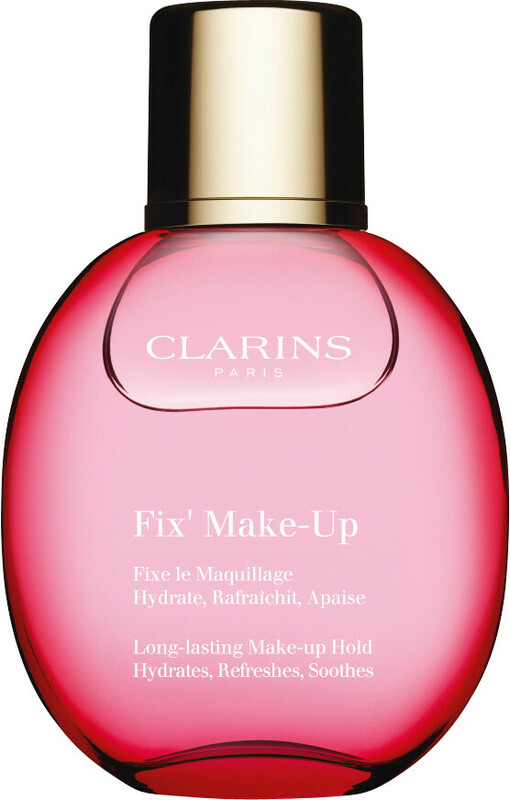 Clarins Fix Make-Up spray is a brilliantly hydrating and refreshing mist that sets makeup in place and helps it to last longer. The cooling spray revives radiance that can be lost with the application of foundation and powder, and brightens the complexion with a boost of Vitamin C. It also absorbs excess shine and 'fixes' make-up so that it doesn't fade or slip. Apply throughout the day for a refreshing lift and a healthy glow. Hydrates especially well in air-conditioned environments and hot climates. 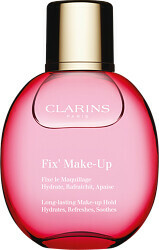 Clarins Fix' Make-Up 30ml is rated 4.6 out of 5 by 19. Rated 3 out of 5 by melondon from Doesn't do much I don't really think this product has had any impact on my skin since using it. It does smell nice, I think that's its biggest point but it is too expensive for what it does in my opinion. You may as well just use Avene spring water on your face to settle make up and refresh your look, and I swear that the effect is the same. Rated 5 out of 5 by asiasni from Great fixing spray Have used it for years. Now it has a new packaging but luckily formulation stayed the same. It is a lovely moisturising setting spray with a rose centifolia extract. Rated 4 out of 5 by Loumarin from old favourite A good and reliable product, and but I feel that the price is too high for the amount of product in the bottle --- so glad of Escentuals' price. Rated 5 out of 5 by Sunshine1981 from Wonderful A super light fixer that holds your make up and smells good. Perfect for the hot summer months. This is very refreshing for the face and cools the skin at the same time. A must for those who wear foundation.